Leadership noun: the action of leading a group of people or an organisation, or the ability to do this. Ownership noun: an attitude of accepting responsibility for something and taking control for how it develops. Allotments are a peculiarly British passion. Usually measuring 100ft by 30ft, an allotment garden is a parcel of land, made from sub-dividing a larger piece of land into anything from several parcels, to hundreds. They are typically located in inner cities and made available to individuals for non-commercial gardening and growing of food-stuffs. Introduced by philanthropic Victorians to provide a healthy diet and lifestyle for factory workers, over the years, the popularity of the allotment has risen and fallen in inverse proportion to the nation’s well-being. During the second world war, millions became gardeners as we were encouraged to Dig for Victory and by 1945, there were 1.3million of these land parcels. In the early 1970s, power cuts, oil shortages and the three-day working week encouraged self-sufficiency and a corresponding boom in allotments. The dream of a bucolic existence still has wide appeal: today there are around 300,000 allotments and a waiting list of 100,000 – mostly women and young people. The average allotment gardener is in their 30s or 40s; they’re not crusty old men in flat caps. In the London Borough of Lambeth, a more sustainable way of being can be cultivated for an annual rent of only £10.50. We all want to own a little piece of the world, to feel invested in something, to feel responsible for results, joy in what our labours have produced – whether that’s a cauliflower or a strategic plan. However, in all aspects of society there is a vacuum of ownership, and it is this, I would argue, that is at the root of the crisis we face in society today. In business “quarterly capitalism” has created an ownership vacuum. Business leaders, whose incentives are linked to share price performance, are challenged by asset-managers with a short-term focus that increasingly sets the market price. They take a narrow view of a stock’s value that is unlikely to lead to efficient pricing and collectively leads to herd behaviour, excess volatility, and bubbles. The typical response of many asset owners, to a failing corporate strategy or poor environmental, social, or governance practices is not to act like owners at all, but simply to sell the stock. In turn, corporate boards and management make suboptimal decisions for creating long-term value. This undermines their ability to invest and grow and has far reaching consequences on GDP, unemployment and returns to savers and pensioners. Thoughtful contributors, including Michael Porter, Roger Martin and Lynn Stout, have attempted to debunk the myth: Cornell’s Stout denouncing the idea of a single shareholder measure as “intellectually incoherent” and describing shareholder primacy as “fishing with dynamite” due to the way the collective catch of fish dimishes after an initial surge, when fishermen use dynamite. Maximising shareholder value depends on a “platonic shareholder” caring about only one stock price at one moment in time. Shareholders, of course, are human beings, with different values, different interests and different time perspectives. Some shareholders will care deeply about the ethics of those leading the companies they hold stock in, others couldn’t give a hoot about their contribution, or otherwise, to society. 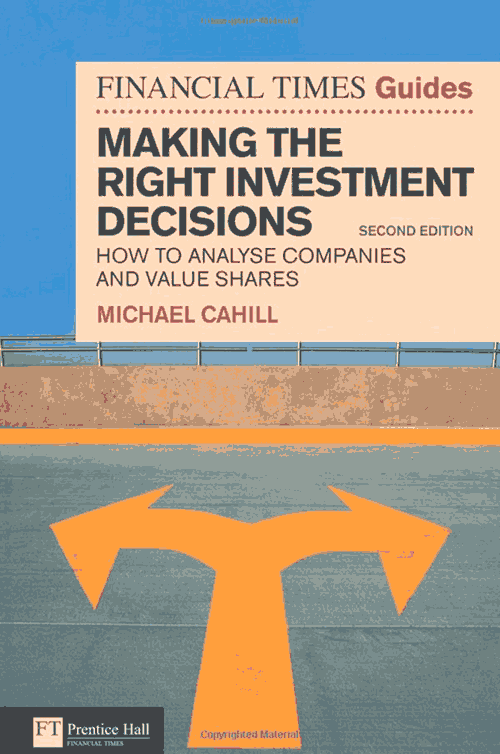 What has occurred therefore, is that maximising shareholder value has become about maximising only the interests of the small subset of shareholders who are the most short-term, opportunistic, undiversified and asocial. Broadly, Stout is talking about the “Bobby Axelrods” (Damian Lewis’ hedge-fund manager in television drama Billions) of the investment community, but she could equally be describing BHS’ Sir Philip Green, the current POTUS or the lead actors in BREXIT. In Europe, campaigners in favour of leaving the European Union, told us it was time to take back control, focused on crime committed in the UK by foreigners and their burden on the NHS and so exploited the fears of the most disenfranchised, those with the least to lose. The leave vote brought the Blairite vision of the stakeholder society – one based on mutual obligations, one in which everyone would participate, but more importantly, also contribute – crashing down. It’s important to make the connection here between the challenges we face in society today and the “big idea” of a mutual society the UK Government hoped to bring alive in the late 1990s. At the time, many on the left called for corporate governance reform that would encourage a long term approach to investment decisions. However, with the two most conspicuous exemplars of the stakeholder concept of corporate control being Germany and Japan, the government was cautious. Then, both Germany and Japan were facing severe economic difficulties. Caused, it must be noted, not because the boards of German and Japanese companies had to consider the needs of employees, customers, society at large and shareholders, but because their currencies were overvalued. The stakeholder society: a powerful idea, but one which failed to realise its ambition, because the interests of one group – those that hold shares in our largest companies – were prioritised over the rest. Had this group been leading for long term health and prosperity, that is acting as decent asset owners should, we would not have the economic inequality, and the severe societal challenges, we have today. If we do not embrace the attitude that we own our future, we cannot make life better for those that follow. Lynn Stout suggests that rather than optimising the interests of one group, we should follow the suggestion of prize-winning economist Herman Simon and pursue several objectives and try to do decently well at each; a term he coined “satisficing” (combining satisfying and sufficient). This concept was very much at the heart of my experience leading the finance function at Procter & Gamble. As a young analyst joining the UK Laundry, Cleaning & Paper business in 1998 I, like every other new hire around the globe received 1 share, a symbolic, but powerful gesture; I was an owner of the company and must behave as such – treating P&G’s assets as my own and acting in the interests of its long term success. I co-led the Bold and Fairy laundry brands with my sales and marketing colleagues: I, Finance, representing the views of the shareholder, Sales the grocery retailer and Marketing, the consumer. Together we “satisficed” the needs of all stakeholders in a way that was consistent with the purpose, values and principles of a company that touched and improved the lives of more than a billion consumers. In the grand scheme of a multi-billion-dollar business, our brands represented a tiny parcel of land, but it was our parcel. There is no doubt leading is difficult. There are the “calcifying forces of bureaucracy, complexity and internal dysfunction” to contend with, however arguably, today, the bigger challenge of leadership lies in the requirement to perform two contrasting tasks simultaneously: the first is to manage the present, which is largely administrative. The second is to create a compelling future, which is about imagination and innovation. The goal of the first is the perfectly aligned, tightly integrated and logically coherent organisation. By contrast innovation thrives in confusion, ambiguity and disorder. Here, linear thinking needs to be replaced by divergent thinking. Leaders that innovate, recognise that structures impede; management is an obstacle. They appreciate that they do not have all the answers and they don’t need to, because they trust – they listen to colleagues and harness the wisdom of the collective. Leadership is democratised as it flourishes through the system. It’s an organic, human process, not mechanical and standardised; like gardeners, they simply create the conditions and wait ‘til something grows. However, most organisations are run by mechanic leaders. People are “headcount” and “talent” -treated as an asset, a cost, a resource to be maximised, an investment to be realised, a number to be reduced. The principles of lean manufacturing are applied to people as they are to be continuously improved, all waste eliminated, as we strive to perfect. They see companies as hierarchies, matrixes and ‘org’ charts; as circuit diagrams that are clean, logical and fixed. To them relationships are between one machine and another – data and reports being the product of their mating. For the gardener leader, relationships between people represents potential and possibility. With nurturing, encouragement, care and attention their people will thrive, and often surprise them. Learning springs from increased experimentation. For them leadership is a conversation, not a command from on high. The gardener leader’s organisation is an organic culture: an interdependent, endlessly evolving community. Such leaders are the antithesis of the heroic leader. Heroic leaders say “I’m the one you’ve been waiting for”. When we wait for heroic leaders we have no ownership: “he’ll fix it” we say. And of course, when he fails, at least we have someone to blame. “The Obamas have achieved superhero status” wrote Stylist magazine’s White House Correspondent beneath a cartoon of the former first-family in the lycra of Disney Pixar’s The Incredibles. But Obama is the very embodiment of a servant leader, not a hero. In his farewell address, Barack Obama told Americans “our democracy needs us…. if something needs fixing lace up your shoes….hitch your wagon to something bigger than yourselves”. Step in, take ownership he said: “I am asking you to believe, not in my ability to bring about change, but in yours”. When we characterise servant leaders as heroes, even light-heartedly, the ownership vacuum gets bigger. There are many definitions of leadership, but whichever one you alight on, it needs to include a concept of influencing a group of people to move towards something. Without a towards, a future which people are moved to live into, there is no leadership. Without an attitude of ownership, no-one has responsibility for the future that develops. In Owning Our Future Tellus Institute fellow Marjorie Kelly explores new concepts of ownership – what she calls generative: aimed at creating the conditions for life for generations to come.